Disney has an all-star cast set for its upcoming movie, Saving Mr. Banks, which will follow the unlikely story of the making of Mary Poppins and the problems plaguing the project until it eventually made it to the big screen in 1964. The film will star Tom Hanks and will hit theaters this Christmas as part of the big 50th Anniversary of Mary Poppins. 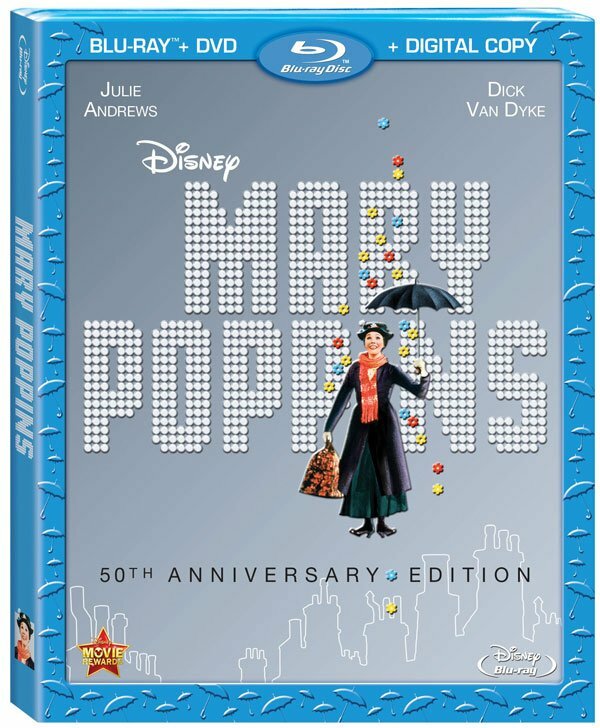 Disney is never one to miss a promotional opportunity, and the company will be putting out the Mary Poppins: 50th Anniversary Edition on December 10. While the latest edition will be available on DVD, Disney is really pushing the HD Digital and Blu-ray copies of the film, and with good reason. The December 10 release will mark the first time the film has hit Blu-ray, and the first big release of the movie since Disney put together the 45th Anniversary Edition on DVD just a few years ago (Likely due to rarity, those copies run pretty expensively). The new copies of the film have some neat cover art, and buyers who purchase the Blu-ray or HD Digital copies of the film will also get a couple of brand new bonus features with the release. The first is “Mary-OKE’s,” an interactive segment that allows viewers to sing-along with famous songs from the film, similar to the “frog-E-OKE” feature that just came as part of The Muppet Movie: 35th Anniversary Edition. The second brand new extra is a segment called “Becoming Mr. Sherman,” which is actually related to Saving Mr. Banks rather than Mary Poppins itself. In this segment, Jason Schwarzman will reveal what it was like to take on the shoes of famed Disney professional Richard Sherman. To tie the segment in with Mary Poppins, it will also delve into the making of the musical. As the months wear on, Disney will likely reveal more details about the Mary Poppins: 50th Anniversary Edition. Past editions of the film have included behind-the-scenes looks at the costumes and an introduction by production designer Bob Crowley, so buyers may be seeing those on the disc, as well. Until then, if you haven’t caught the brand new Blu-ray trailer for the film on TV, you can give it a watch below. I’m not going to say the HD picture looks fabulous, but I’ve seen the preview on a pretty big screen and it hasn’t looked at all fuzzy. Check it out below and decide for yourself.